Pachl, J.: Railway Operation and Control. 4th edition, VTD Rail Publishing, Mountlake Terrace (USA) 2018, 302 p.
Order online from VTD Rail Publishing. 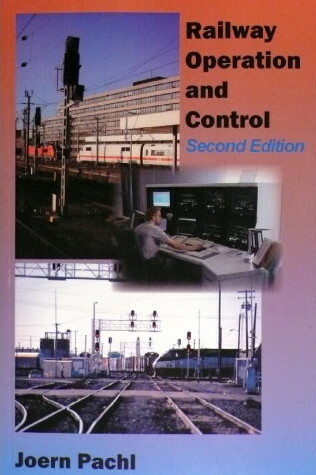 This book provides, in a compact form, the very basic knowledge in the science of railway operation in a close connection with signalling principles and traffic control technologies. It was written both as a tutorial for students of railway-related programs and as a reference for people in the industry. Although written from an European point of view, this book tries an independent look at railway operation without concentrating on the operating philosophy of a single railway. But where it makes sense, it is always mentioned if an operating procedure or signalling principle could only be found in a specific country or groups of countries. 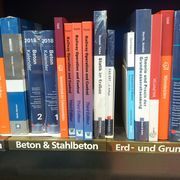 This way, the book differs significantly from the German textbook "Systemtechnik des Schienenverkehrs" by the same author, that mainly describes operating and signalling principles of German railways. For the 4th edition, the content was thoroughly revised considering current developments in railway signalling and control technologies, and in methods for capacity evaluation. In the ATP section, a paragraph on the Chinese Train Control System (CTCS) was added. With ETCS, CTCS, and PTC, all communication-based train control systems used today in mainline operations worldwide are now covered. Note: I'ts not in the online catalogue but only on the shelf in the construction department on the 3rd floor. To buy it you have to call or getting somebody buying it from the shelf. Advice: When buying from other sources than www.vtd.net, make sure you get the latest edition!